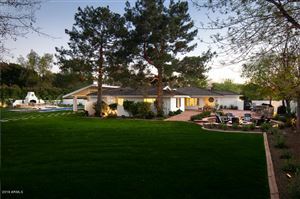 The Arcadia neighborhood in Phoenix is well known for having beautiful homes on larger lots. Many of the homes in this community sit on 2-5 acres and it is rare to find one that sits on anything less than half an acre. The houses in this community were built on former citrus groves which is the reason that the homes in this area are surrounded by lush, mature landscaping. This community is popular because of the wide variety of architectural styles available. The style of homes in this neighborhood range from 4-5 bedroom ranches built in the early postwar era; to pueblo styled homes that date all the way back to the 1920’s. Although these homes are older, they have been maintained and updated over the years. As a result, these homes can range from under $500,000 and increase to up to $3 million. Residents at Arcadia have access to a variety of amenities and local recreational activities. With approximately 2 million square feet of retail space, the Scottsdale Fashion Square is the largest shopping mall in all of Arizona and it is located within 5 minutes from Arcadia. The Biltmore Fashion Park is also nearby and it features over 75 luxurious outdoor retail facilities. Arcadia and Herberger Park are also popular destinations for families in this area. These parks include tennis courts, lighted volley ball courts, multi-purpose fields, an exercise course, playgrounds, and picnic areas. The Phoenician and the Biltmore, two upscale resorts also sit at the center of the Arcadia community. 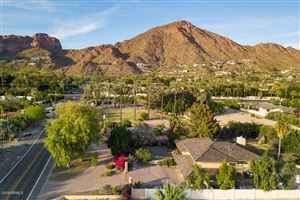 Arcadia is conveniently located within 10-15 minutes from Downtown Phoenix which makes it easy for residents to take advantage of the amenities that other areas have to offer. Arcadia is also a part of the award winning Scottsdale Unified School District. The 19 schools in this district were given an “Excellent” rating by the Arizona Department of Education.